In this tutorial i will show you how you can add your blog in big countries directories and if you have good blog then you can easily get a lot of traffic through Google Search Engine. Google is the best search engine and also crawl every website in the world. If you have submit blog in big directories of US or Canada then you can get huge audience in your blog and also get handsome money now go with me and add your blog in these directories and also set up your blog with desire targeted country in Webmasters Tools. Targeting your desire country is very useful and you also get traffic with your targeted country because Google Search Engine focus on your targeted country. I have also write about directories in my previous posts but now i again update my content with some new directories and new tips and tricks in my blogging blog. If your interested in my previous post then go with below link. Now i have starting my new update content which is very useful and also give you a large amount of traffic to blog directories with US or Canada. Blog Directories are very useful for every one who surfing on web and also if you are using blog directories the you also get original or useful content. 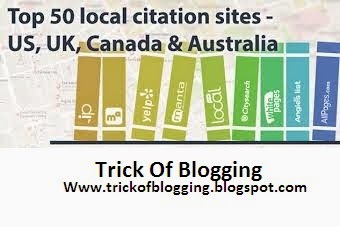 Blog Directories are the easiest way to find useful content that’s why if you add your blog in these US or Canadian directories then you just get traffic or audience from these top countries. Now in below link these are the best top Directories of Canada and United States Of America. Setup Blog as Geographical target we can easily get traffic form our desire country means if you want blog readers from US then just by ticking the option you will get audience form US easily in few hours or approximately one Week also. if you are ready then go with below tutorial and setup your desire country and one thing if you want to get detail of this tools then i also write article on International Targeting or Geographical Target in Webmaster tools. To grab the detail Boost Traffic By International Targeting Desire Country.